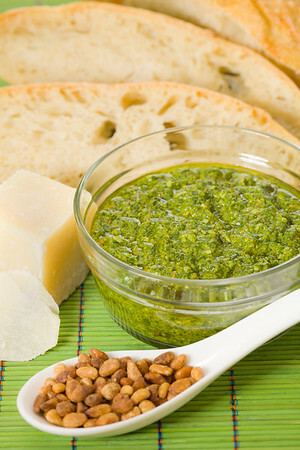 Pesto sauce with pine nut, parmesan cheese and bread. Healthy eating. Shallow depth of field.